After more than four decades of extensive civil trial and occasional appellate practice in Colorado, I decided to write a historical book. I craved a new adventure and needed some novelty. Because of my experience in research and writing, I thought that I could easily transition from one specialty to the other. I now realize that the differences outweigh the similarities. I made the transition in the end and am now a published historian. I had been told that I would have little chance of finding a publisher. As a trial lawyer, I had, in a way, self-published my many motions and briefs. I go back far enough to have been required to have had my first appellate briefs professionally printed and bound. I would not, however, self-publish a book. I did not want to find a cartographer, photo manager, copy editor, indexer, printer and marketer. I wanted a professional product. I was proud of my first manuscript. I thought that its merit was obvious. I found that without a submittal by an agent, the “Big Five” publishing conglomerates would not even accept a manuscript. No court had ever rejected a submittal from me. After some effort, I was fortunate to find Westholme Publishing, a well-regarded independent publisher that specializes in American history. An immediately apparent difference between my “publishing” as a trial lawyer and my publishing as a historian is compensation. My historical writing may have no monetary value. While representing defendants in civil cases, I have been paid to write, and my readers — opposing counsel, a judge or both — have been paid to read my writings, even if they turned out to be without value. Now, nobody is paying me an hourly rate to write, and nobody would pay my readers to read what I write. Receiving a percentage of the price of each book sold, I am being paid a contingency that is meager compared to a standard contingency fee agreement. I was seldom a contingent fee lawyer; now I am a contingent fee historian. The similar concern for both the trial lawyer and the historian is accurate understanding and recreation of past events. Both professionals seek facts, but the lawyer has tools that are not available to the historian: the wonderful panoply of discovery options. How great it would be to depose some long-dead malefactor to whom a crown of gold has been awarded by others! On the other hand, in its presentation, the historian is not bound by the rules of evidence. My inclusion of an exclamation point in the last paragraph prompted me to think about punctuation. Perhaps I am stodgy, but I can never remember using such a mark in any brief that I ever submitted. It seems theatrical. My thinking has been that the words and syntax that I selected would convey the necessary emphasis to the idea presented in a sentence. In these days of Trumpian hyperbole, exclamation points and adjectives that are comparable in meaning, such as “ludicrous,” “ridiculous” and “absurd,” may increasingly find their way into our characterizations of our opponents’ arguments. As a historian, I can use exclamation points sparingly. 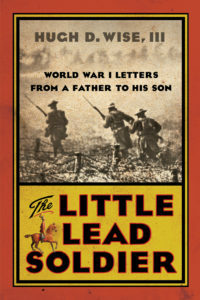 My book, The Little Lead Soldier, is about World War I. General John Pershing was the commander of the American forces. The Allied governments had assigned French General Ferdinand Foch the responsibility of coordinating the several armies that were allied, including the American, British and French. A number of serious issues arose concerning how to deploy the American troops. Pershing and Foch discussed those issues. The nature of the Pershing-Foch discussions is a disputed fact. Each general wrote a memoir, which in the parlance of the historian is a “primary source.” The memoirs differ in their descriptions of the discussions. In his memoir, Pershing tried to depict himself as a “macho,” asserting vehemently, with threats and ultimatums, his positions against an antagonistic Foch. As for Foch, he made no mention of heated discussions. As the historian, I obviously did not have the discovery arsenal to learn the truth that would then become a fact. If I had chosen to do so, I could have relied on “secondary sources” to try to ascertain the truth. Those secondary sources were mostly acclaimed historians who reported, as a fact, that Pershing strenuously argued with Foch. Instead, I decided to put forth what the generals had said in their memoirs. To trial lawyers, repeating what the generals said would be inadmissible hearsay. Uttering the opinion that Pershing forced Foch, against his will, to do as Pershing wanted would lack the foundation to be admissible. In asserting their version of the truth, historians can ignore the rules of evidence. 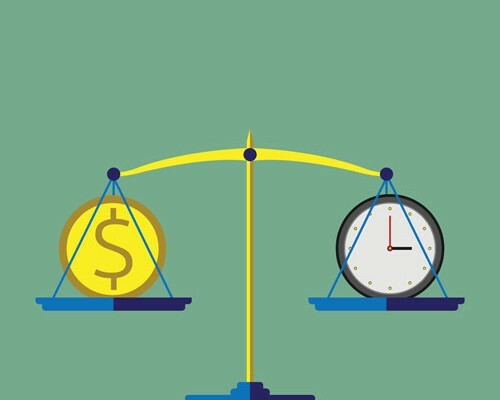 For the trial lawyer, facts are important only if they can be fit into established legal principles, often as enunciated by jury instructions. If Pershing and Foch were jointly or severally being tried in a civil action for negligently causing the massacre of American soldiers in battles in the Argonne forest in the closing days of the war, the adjudicator would know what standard of conduct to apply to the facts. It would be whether either or both generals acted as a reasonably careful person would act under the same or similar circumstances. A trial lawyer would probably not need to research the well-known legal precepts governing negligence. Other legal questions, such as standing, jurisdiction and immunity, would require research. Historians do not need to do such research. If historians choose to evaluate the actions of their subjects, they can judge those actions by whatever standard of conduct they select. That standard could be a generally accepted legal, moral or religious code. It could also be a standard that a historian self-derives. The historian can also choose to only state facts and leave the judging to the reader, applying a standard of the reader’s selection. I started out trying to be non-judgmental, but I found that the way that I stated facts showed bias. I was applying standard legal principles, those same principles that I had been applying through all the years of my legal practice. I consider Pershing, Foch, the other generals and politicians, including those on the other side, to have been negligent in causing the death of their soldiers, even to the extent that punitive damages could have been awarded against them. Another historian and any reader may look at the same facts and apply a different standard of conduct. For example, British General Douglas Haig expressed the view that “[w]e lament too much over death.” He also counted success by the large number of his troops killed in a battle. That meant that the other side must have lost as many. To some historians, but not many, Haig was a successful general. The historian and the reader have the luxury of selecting the standard for evaluation; the trial attorney, meanwhile, is bound by law. I have made the point that the writings of historians can be unreliable. Although perhaps important, they are also, in some respects, useless. It makes no present difference whether the discussions between Pershing and Foch were heated, or if one or both were negligent, or that Haig thought that death was unimportant. In contrast, the work and writings of the trial lawyer are crucial to the involved individuals and to a system based on applying proven facts to established law. Hugh D. Wise III, a sole practitioner in Aspen, has been a Colorado civil trial and appellate lawyer since 1969. He is a Princeton University graduate and earned his law degree at the University of Pennsylvania. He was certified as a civil trial specialist by the National Board of Trial Advocacy. He served as a long-time member of the Colorado Supreme Court Civil Rules Committee and the Colorado Supreme Court Committee on Civil Jury Instructions. His first book, The Little Lead Soldier, was published earlier this year and is available in bookstores and online. He can be reached at wise@sopris.net.